It’s January 2nd and that means most people have made their resolutions. Do you know what the number #1 most common New Year’s resolution of 2013 is? I bet you can guess it. Yup, you guessed it – eat healthy and exercise more often! I can’t help you with the exercising. Sadly, that’s a hurdle you have to jump all on your own. I have a hard enough time with that myself. But the eating healthier…that I can help you with! One of my goals for the year is to eat healthier, too. Our family already eats fairly healthy, I would say. I dedicate one night a week (at least) to a meatless meal and we eat our fruits and veggies (though we can always eat more). I made this Mexican dish on our Taco Tuesday night. Every Tuesday, I try to plan a Latin-themed meal. The family loves it because we love Mexican food. But let’s face it, Mexican food can be full of calories. HELLO, CHHEEEESY GOODNESS! I don’t know what your physical activity looked like over the Christmas holiday break, but mine included a lot of sitting and eating, rinse and repeat. I felt heavy and icky after Christmas was over, so I made sure that when I did our menu planning for the coming week, I included some healthy dinners. One turned out to be kind of a flop. Christian was the only one who ate it, and the other (this one) was amazing! AND FILLING! 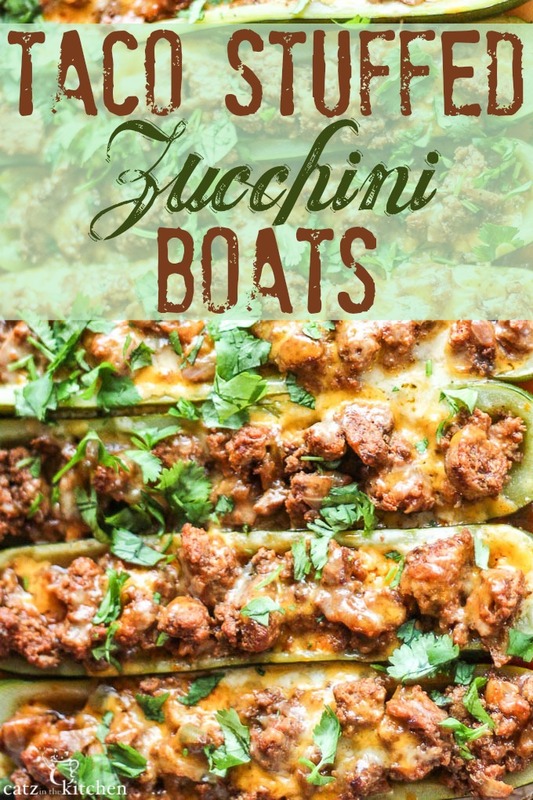 The zucchini boats are such a fun, cute idea for a taco shell substitute. But it takes a bit more work than a taco shell. I took a picture of what the zucchini boat should properly look like so you had something to go by. 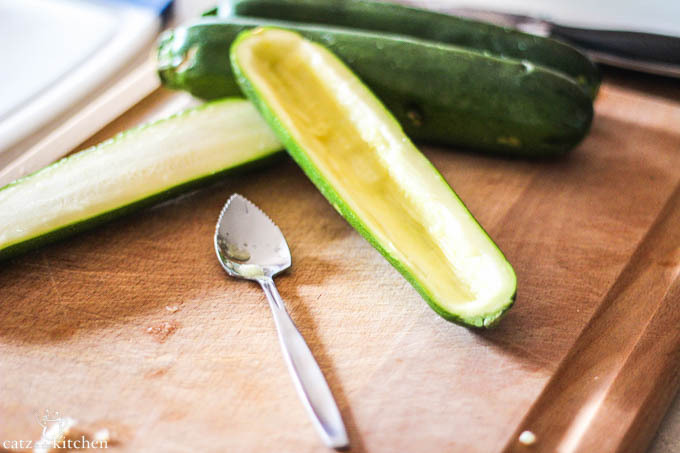 All you need to do is split a medium zucchini lengthwise and scoop out the middle. The scooping can be the challenging part. I tried a mellon baller, but it wasn’t adequate enough for me, so I used the grapefruit spoon I found at Goodwill a few months back – it worked fabulously! Just make sure to leave about 1/4-inch thick shell on each half. Anything less and the boat gets a bit flimsy. I wanted to mention that I made these taco boats ahead of time and just reheated them in the evening when my husband and I were done with our workout. These heat up marvelously! I don’t know what they tasted like fresh out of the oven, but I can tell you that they were delicious later that evening and they were all gobbled up. It is very safe to say that if you wanted to make these ahead of time and eat them later, it would totally work here. I know I’ll be making them that way again! « Happy New Year’s Day 2014!!!!!! I love this!! What a great way to start the year off right! Do you have weight watcher points or did.i just.not see it? Thanks, they look great! Good morning, Linda. 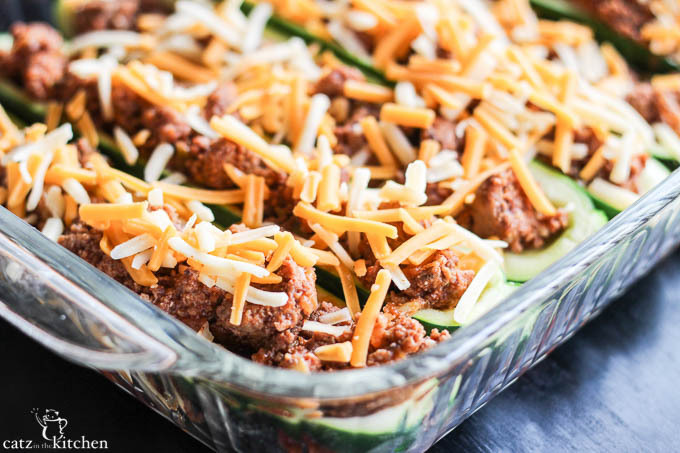 Chels is right - we aren't too familiar with WW, however, I can tell you that the recipe has roughly 28 g protein, 15 g carbs, 14 g fat, and 5 g fiber, which should be roughly 7 WW PointsPlus points. Is that helpful? Make it easy on yourself! Boil the zucchini first, THEN scoop it out! That's the way I have done it for years, the center practically falls out. Love the recipe! Oh, that is a good idea if I'm running short on time. 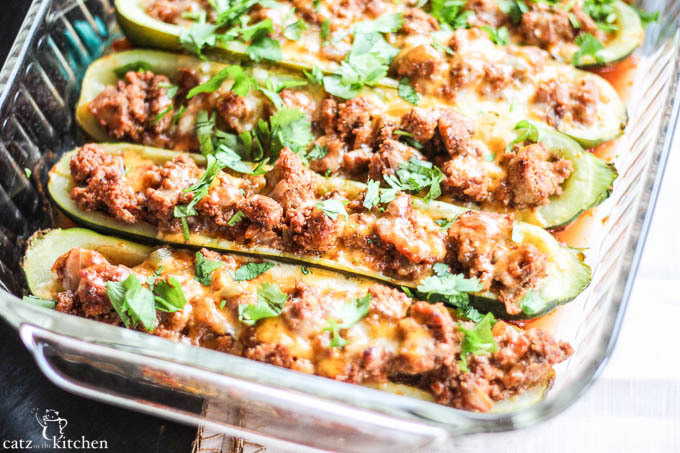 My only hesitation, is by boiling and then baking the zucchini, I feel like you would risk cooking out a lot of the nutrients? ?